I received the following product as part of the NewAir Brew Crew in hopes I would share my honest opinions on setup and operation. All photos and video contained below are copyright Momma Told Me Blog 2016. Momma Told Me: Clean water doesn't some easy. 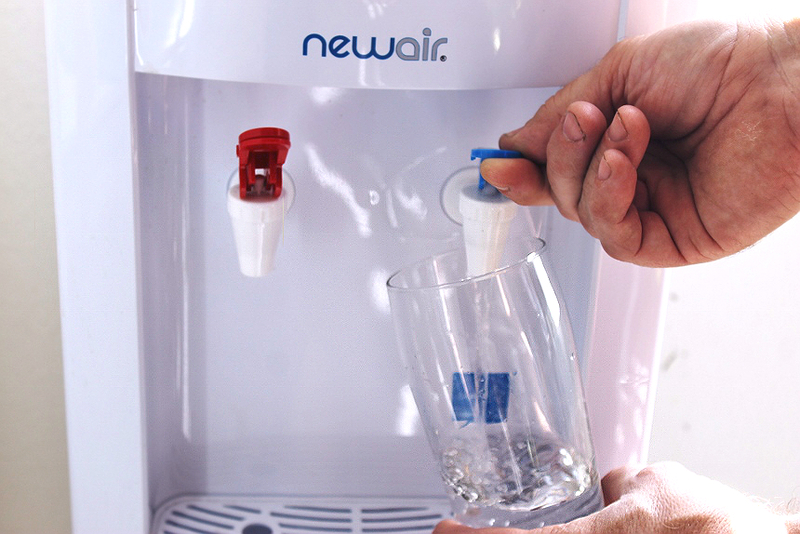 2 years ago, on the blog, I called my father a camel and presented him with a 'fan cave' upgrade- the NewAir WCD-200W Water Dispenser. It truly can't be contested that my father demands constant hydration and the freshest tasting water; the water dispenser has proven invaluable in his baseball/football/UFC viewing room (aka the 'fan cave'). Many of my readers know this year has been an intense one for our family. Shortly after I was rear ended (at a complete stop, on the freeway) my father left the state to visit his parents for a family gathering. The trip turned into a 2 month stay after bringing my grandfather to the hospital just the day after he'd arrived. Clear across the country I did my best, car-less and unable to walk straight, to keep his home in order and look after things while he was away. It was on one of my visits I noticed his water dispenser was nearly empty. Everyone knows the only pain about having an in home (or office) water dispenser system is the changing of those dubiously heavy and awkward 3-5 gallon bottles. It wasn't my water dispenser, so I was a bit unclear of the costs and effort that went into refilling the empty bottle. A little research showed that those not using a delivery or subscription service often paid up to $8 locally to fill their rented bottles. And, as convenient as having full bottles delivered to your home is- home delivery wasn't much cheaper. This was all ignoring the issue- in order to replace the water bottle with a full one, I would have to lift gallons of heavy water and position it in the dispenser cabinet. That was simply not about to happen. 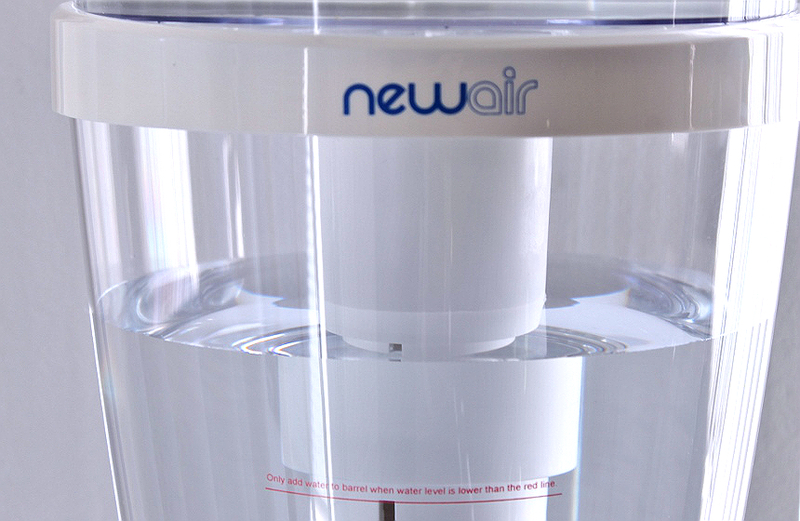 For me the NewAir WAT10W Water Filtration Bottle was a no brainier investment. 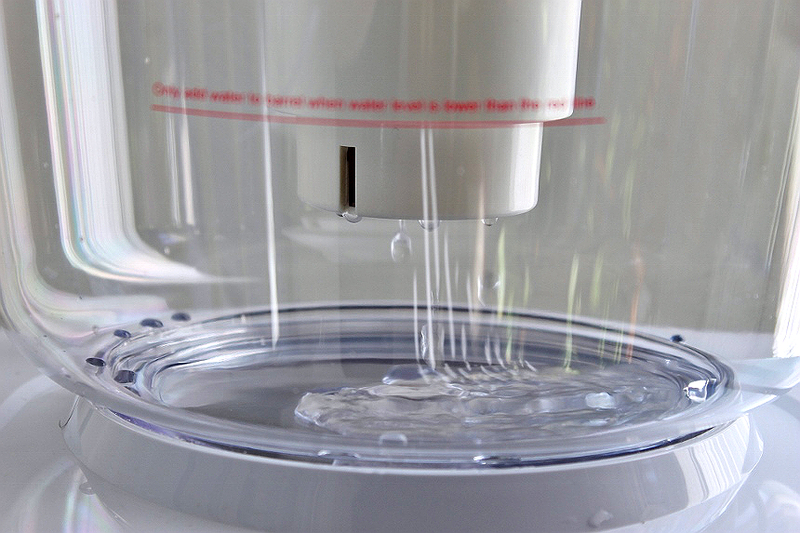 For about $40 online I could order a universal self-filtering water bottle system that fit nearly any modern home or office water dispenser units. That's 211 gallons (or 9 months to a year depending on consumption) of fresh water for the cost of one easy to replace filter. 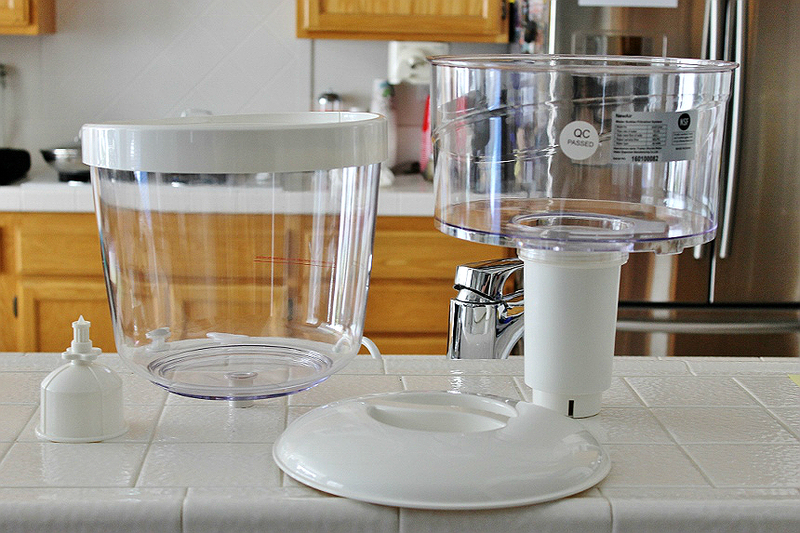 No more heavy, expensive, awkward bottle refills. Next I removed the bottle guard ring from the top of my dispenser tank to ensure that the WAT10W would sit snuggly and securely in the tank's basin. At first I thought I wasn't installing it correctly, because it didn't 'snap' or lock into place. It does fit securely and the force/weight of the full bottle helps ensure it's steady seating. Next came the hard part. 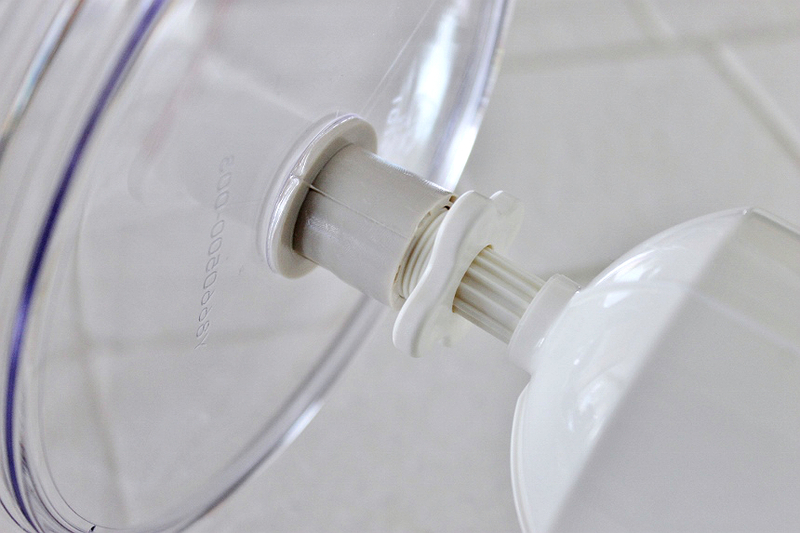 Okay- the easiest part of the simplest water bottle swap you'll ever do. In fact, with the NewAir WAT10W Filtration Bottle you'll only ever have to remove your water bottle for cleaning and maintenance. We set the middle rim atop the bottom half of the bottle, and the top half securely on top of that to create a complete bottle appearance. We then poured about 4-5 pitchers of tap water into the top half of the bottle (I call it a tank) and placed the lid atop. 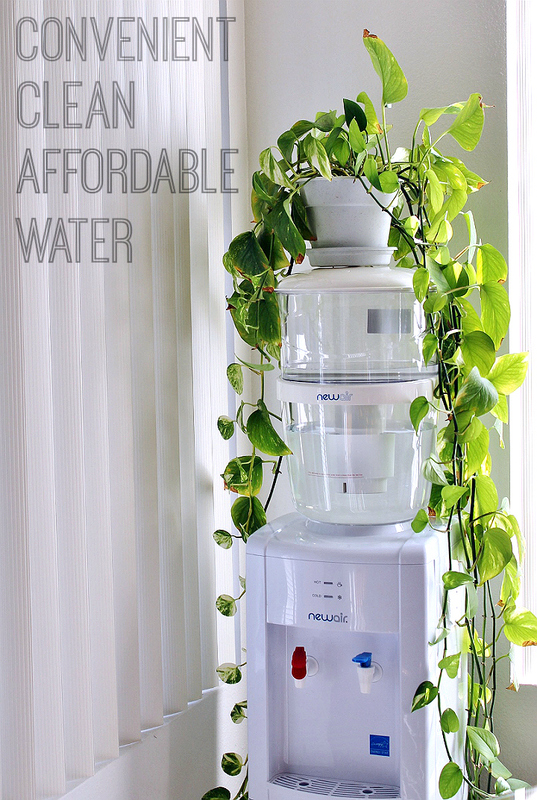 Anyone who can life a pitcher of water to about their shoulder height can refill a water dispenser. Who knew? The water slowly filters through the central filter, trickling down into the bottom half of the bottle/tank. I was surprised the instructions had no mention of pre-rinsing/soaking or treating the actual filter cartridge, as is typical with carbon filtration systems. Instead, the instructions suggested flushing 2 bottles/tanks full before using the water for drinking. 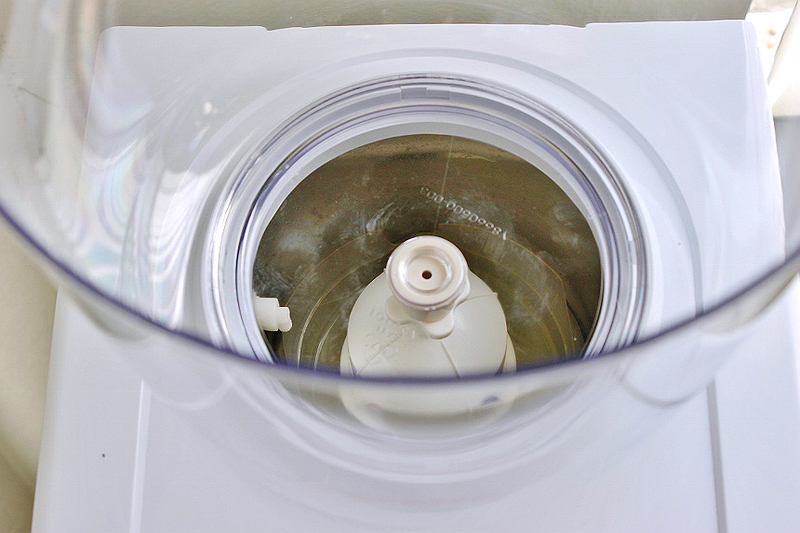 As a result you will notice a discoloration to the first tank or so, when dispensing. It's important the note that you should never fill the top half of the bottle when the bottom half water level exceeds the red marker on the front of the tank. 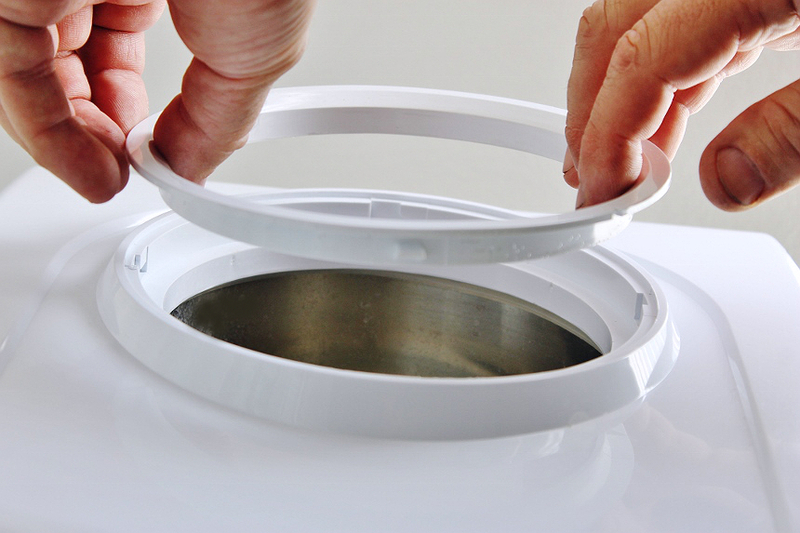 The top of the tank is intended only to hold water during the filtration process and should not be used to store 'reserve' water in advance of the actual need for refilling. The filtration cartridge used in the WAT10W retails for around $28 at the time of this post, making this filtered water bottle system an obviously wallet (and back friendly) investment. It's also BPA free! Remember my grandfather who just spend a long period in the hospital? He's not in any position to be lifting heavy water bottles either- we invested in a WAT10W water filtration bottle for him too! And my father? I think he might actually be enjoying unlimited fresh water, and fuss free refills, even more than the original gift of he water dispenser itself! 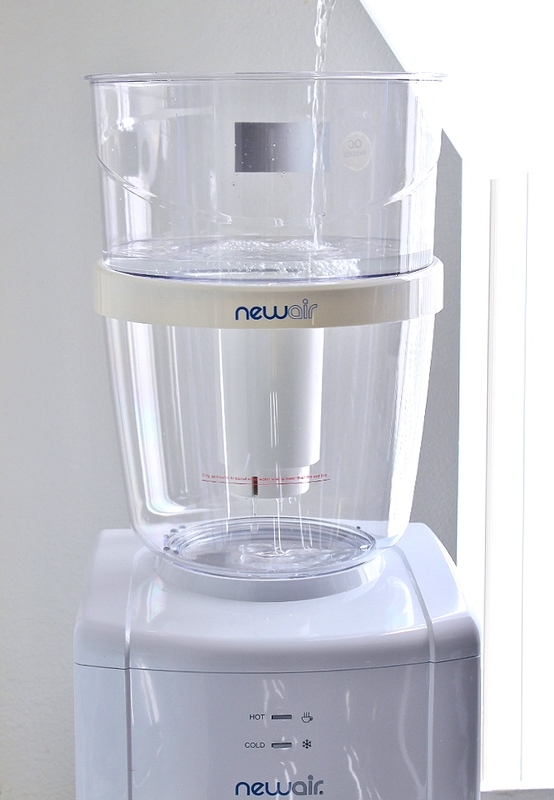 Learn more about the unique WAT10W Water Filtration Bottle from NewAir, and purchase it online here. Follow the brand on Facebook for more convenient home innovations! 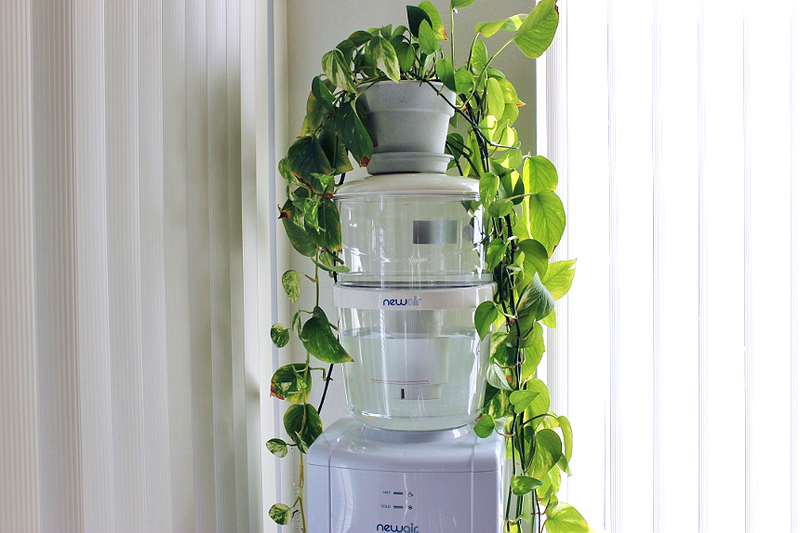 What Daughter Says: As a young girl I hauled jugs of drinking water up the steps to our condo- no more back breaking clean water, thanks to this ingenious water bottle filtration system! 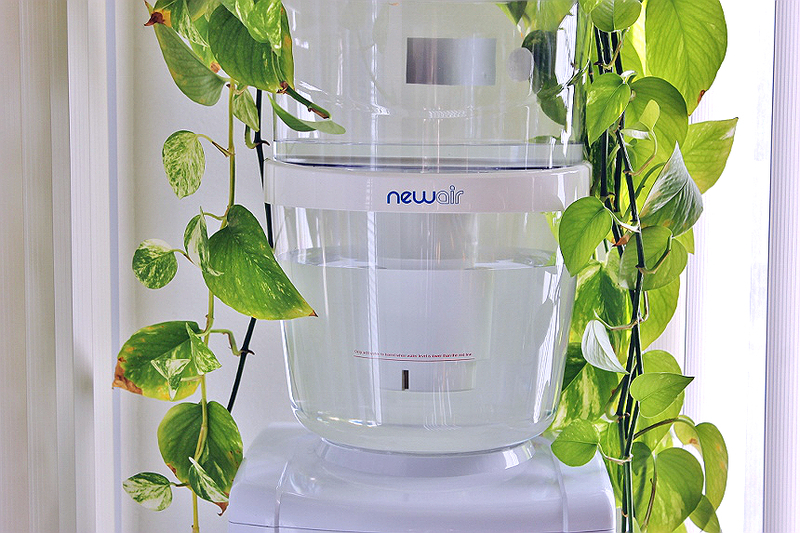 Check out our 1 minute WAT10W Filtration Bottle Setup + Installation Video below! This looks like a great water machine!! I know we are shopping for one of these, I can't stand the tap water were we live, I love that this makes the water hot as well. Love that you aren't hauling water anymore. We've been thinking about getting a water filtration system. Our tap water isn't too bad, but it is well water, so it would be nice to filter it first. We usually drink bottled water, but this would save us a lot of money in the long haul! That's really neat. We have a well thankfully, but my parents could definitely benefit from one of these! We could definitely use this water filtration system. We currently have a water filter that is attached to the faucet, but it is super annoying and gets in the way when we are washing dishes. I need to talk to the hubby to see if he would be interested in getting this for our family. I concur with your mindset. Much thanks to you for sharing. That is a very smart idea! It's a great way to reuse bottles.